Halloween themed day organised by the OTED department. The day consisted of pumpkin decorating, fancy dress, spooky bingo, music and a body parts story where participants put their hands into the box to try to feel what is in there. 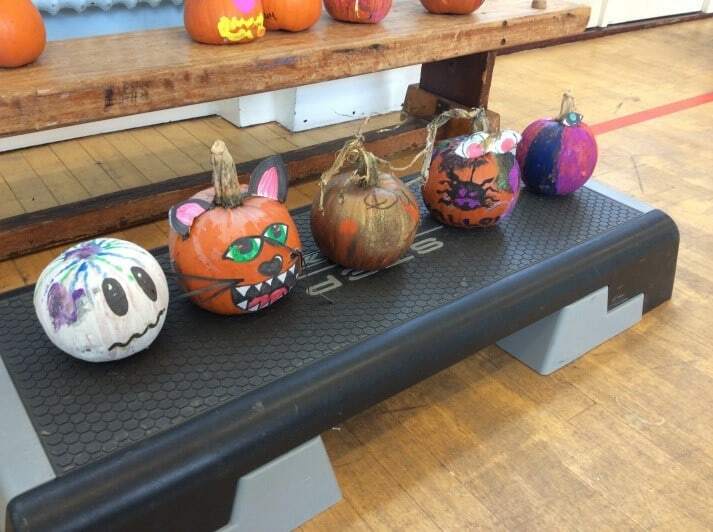 Patients requested to help decorate the sports hall with items they had made throughout the week and spooky props brought in by a member of staff. Prizes were on offer in the games and for the best dressed and best decorated pumpkin. Our catering staff served up burger and chips in the sports hall during the music, whilst patients helped to serve drinks. Below are the winning pumpkins from the day! Patients and staff were also encouraged to have their photo taken at the spooky photo booth amongst the cobwebs and spiders. We feel events days such as this one are a great way to build team morale and provide socially inclusive activities for the whole site to attend and feel a part of the hospital community.